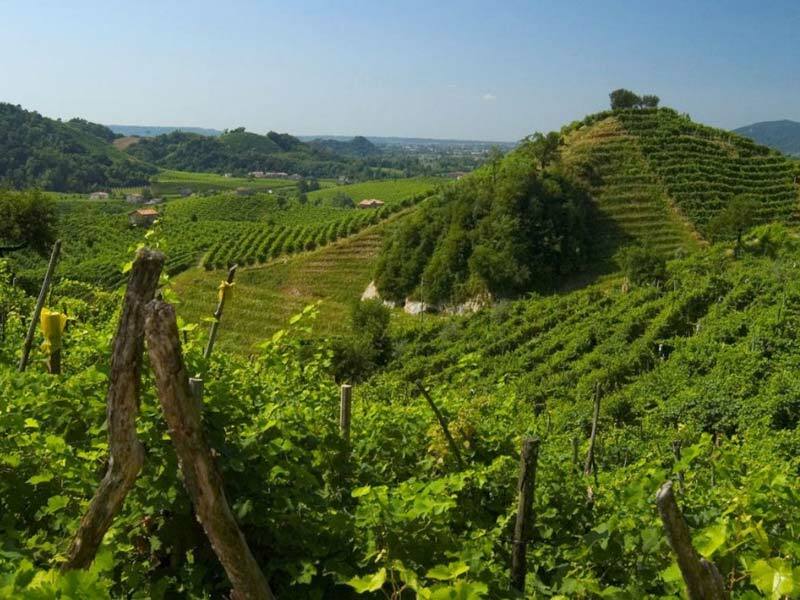 Veneto is recognized as one of the Italian region with the best soils for wine making and its production is an example of wine excellence all over the world. The wide variety of DOCG wines is the best proof of its success. The province of Treviso has a wide number of recognitions: let’s start with the DOCG Colli Asolani that includes three types of wines produced on the hills between Montella and Colli Asolani: Colli Asolani Prosecco, Colli Asolani Prosecco Spumante Superiore and Colli Asolani Sparkling Prosecco. Colli di Conegliano DOCG, instead is the denomination of a type of wines produced in the area of “Pedemontana Trevigiana” like for example the DOCG named Bianco, Refrontolo, Refrontolo passito, il Rosso, il Rosso Riserva and Torchiato di Fregona. On the right side of River Piave, in the area of Montello and Colli Asolani, we find the DOCG Montello and Colli Asolani whereas the lower area of River Piave encloses the DOCG Piave or Piave wines. One of the last DOCG of Veneto is the Prosecco Conegliano-Valdobbiadene. The area of production is enclosed in the hills between Vittorio Veneto and Valdobbiadene. Prosecco is produced with Glera grapes and it comprehend the cru Rive and Cartizze. The most famous DOCG wine of Veneto is probably Amarone: this dry passito red wine is produced exclusively in the area of Valpolicella of Verona, and it receive the denomination classico if it is produced in the area of the so-called Valpolicella classica, or the denomination Valpantena if it is produced in the area with the same name. 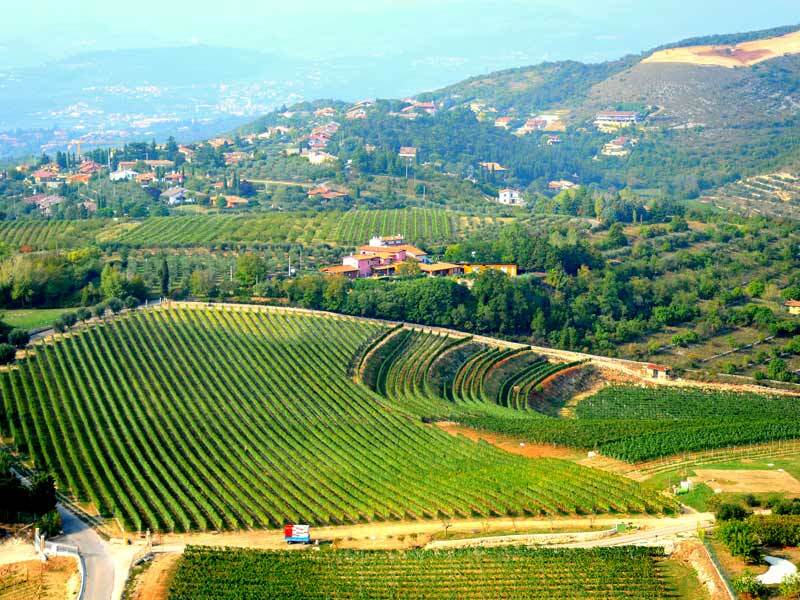 Bardolino Superiore Docg is produced on the hills of the east side of Lake Garda. It can be Classico, but only if it is produced in the areas of Bardolino, Garda, Lazise, Costermano, Affi and Cavaion. Recioto della Valpolicella is a sweet red passito DOCG wine produced in the area of Valpolicella with the same grapes of Amarone, whereas Recioto di Soave is a DOCG wine with a characteristic bright yellow colour, a strong perfume of honey and a velvety and intense taste, produced in the types Classico and Spumante. Soave, finally, is considered the Italian white wine par excellence: the DOCG encloses only the Soave produced in the hill area of the province of Verona. Bagnoli Friularo DOCG is a red wine produced for its 90% from grapes that belongs to the vine Raboso del Piave. It is perfectly paired with meat, game and dark chocolate; it can be Classico, Passito or Riserva. Colli Euganei is the DOCG of those wines produced in the Euganean hills, in the province of Padua: Fior D’Arancio, Fior D’Arancio Passito and Fior D’Arancio Spumante, they are produced with the 95% of grapes of Moscato Giallo, characterized by fruity perfumes and a slightly sweet taste. Recioto di Gambellara produced in the version Classico and Spumante, is a DOCG produced in the west part of the province of Vicenza with Garganega grapes. It is one of the best Spumante wines to pair with your dessert. The province of Venice, finally, has only 1 DOCG of Lison that encloses the plain between the River Tagliamento and Livenza, just few km far from the coast of Venice.